Product prices and availability are accurate as of 2019-04-16 01:12:05 BST and are subject to change. Any price and availability information displayed on http://www.amazon.co.uk/ at the time of purchase will apply to the purchase of this product. A unique whisky gift set containing a 70cl bottle of the world renowned Glenmorangie single malt scotch whisky and a pair of Glenmorangie branded metal whisky tumblers in the style of the traditional "Craftsman's Cup". 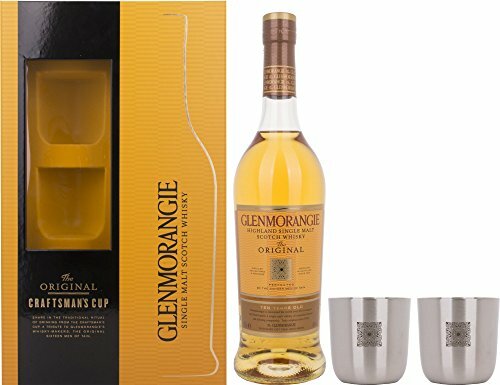 Glenmorangie single malt whisky is world renowned for its finesse and complexity. 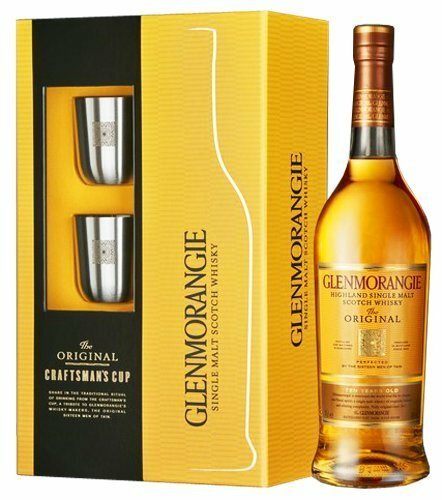 This whisky is both smooth and silky on your tongue giving you a full palate of zingy zesty citrus fruit with vanilla and floral notes. 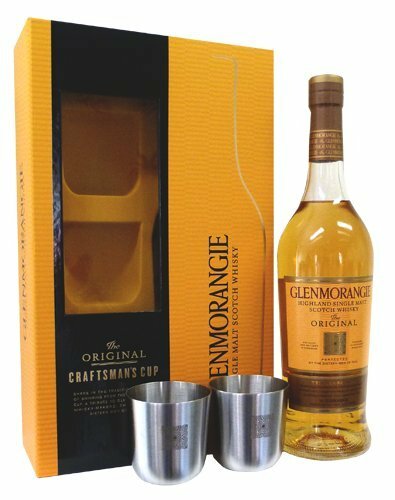 It was once customary for the Glenmorangie Craftsmen, the Men of Tain, to each receive a dram of whisky with their weekly pay, an extra reward for a job exceptionally well done. A metal cup, burnished with age and use, was passed around and each in turn would take their share. This tradition was the inspiration for The Craftsman's cup.